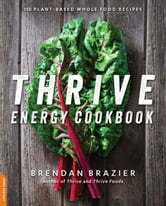 Packed with 150 plant-based, nutrient-dense, whole food recipes developed within the Thrive nutritional philosophy, Thrive Energy Cookbook brings concepts that started the functional, plant-based nutrition revolution to life. Recipes are all vegan and allergen-free (or with gluten-free options) to eliminate wheat, yeast, gluten, soy, refined sugar, and dairy from your diet. Easy-to-make and performance-enhancing, these chef-created recipes merge purpose driven functionality (every ingredient has a nutritional purpose) with mouth-watering appeal. 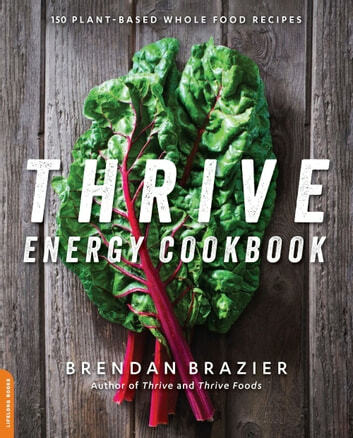 From the alkaline-forming, plant protein-packed Vanilla-Almond-Mocha Motivator Smoothie to Roasted Red Pepper & Sweet Potato Soup, Thai Green Curry Rice Bowl, and desserts such as Raspberry Chocolate Pomegranate Tart, Thrive Energy Cookbook will have you quickly preparing nutrient-packed and delicious dishes.